This weekend we saw the final two Minor events being concluded. Now, we know what other four teams will be taking part in IEM Katowice 2019 and it’s time to take a look to see who are them and what are their chances. Since the reworked Major circuit format took place back in Boston 18’, Renegades is surely enjoying it. The Australian team plays in the Asia Minor, where the competition is relatively weaker than the Americas Minor. Just like in the past Majors, Renegades was able to qualify for the first stage once again. However, the main difference this time is that they have a new roster. We’ve yet to see how their new members will fair in the Major though. ‘Gratisfaction’ and ‘liazz’ didn’t performed very well didn’t performed very well in their final match at the Asia Minor, leaving much work to be done by ‘jks’, which is never a good sign. What to expect from Renegades? Renegades still is too unreliable to call them a favorite coming for this initial stage of the Major. Considering that they might’ve to play against FNATIC or NRG for example, they surely can repeat their course all over again. However, Gratisfaction and liazz were added to bring something new for this team. Looking at how they have been disappointing, especially liazz, is pretty worrying though. Not that Renegades would be better with their old players, but the new ones aren’t turning the tables yet. So, all this considered, Renegades can only hope for an amazing drawn to have a chance to advance. Even then, Renegades doesn’t have a single team that they can consider an easy challenger. One of the best North American teams, and amongst the ten best teams of the world nowadays, NRG finally qualified for the Major. This time however, NRG fans didn’t have to break a sweat as the team was dominating as they should be in the paper. During the Minor and the Closed Qualifier for it, NRG didn’t lose a single map. While their opposition wasn’t much, it’s good that NRG finally break through the pressure and shown their true potential. All things considered, if NRG can make FugLy performs consistently, they probably will be one of the most dangerous teams coming for te Major. What to expect from NRG? NRG is coming for the Major as a top 10 team. With mousesports out of the equation, they definitely will be going further than the New Challengers stage. In fact, all things considered, only Ninjas in Pyjamas and Cloud9 may pose a challenge for them in this initial stage. Afterwards, of course, Astralis for example still is a better team than NRG. However, other than the Danes, there isn’t a team that can beat NRG surely. Not only NRG can go further than the New Challengers stage, we may see them getting a Legend status. 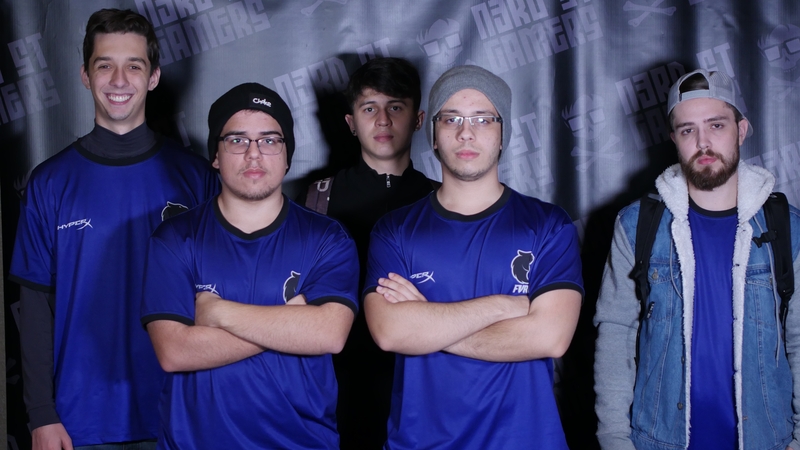 From all Brazilian teams featured in the Americas Minor, one had to qualify for the Major. After all, while the scene has been creating potential talents, they never truly shine unless MiBR or the old Immortals picked them up. Now, this has changed. FURIA managed to qualify for the Minor through the Americas Minor lower bracket as the team lost to NRG in the upper bracket. However, this was their only loss in the circuit and they’re looking very dangerous. During their matches, most of times all players performed to the best, which is a great sign. Having ‘kscerato’, one of the best up and coming players in the bottom of the scoreboard, but with a positive rating and performing so well shows that this team is ready. What to expect from FURIA? FURIA will be one team to give anyone headaches. If they try to match them with firepower, they can very well outplay teams like Ninjas in Pyjamas or Cloud9. If you try to break them through tactics, they might as well surprise you with a different playstyle. All things considered, not only FURIA has the firepower but is also very dynamic, which is great. But not everything is looking good for them though. They lack experience and can be easily pressured. Like we saw in their match against NRG, they also struggle to recover once they start losing. FURIA can surely develop further, and making to the second stage of the Major isn’t impossible, but it will be hard. This first Major for them is more a learning experience than anything. After all, FURIA isn’t used to international tournaments yet. Ever since IEM Sydney 2018, many fans have been following Grayhound. Lead by the famous DICKSTACY, the squad never reached the Major before. This has changed now with Grayhound qualifying for the Major. Just like FURIA, Grayhound hadn’t many issues reaching this far in the Major circuit. They only lost to Renegades twice in the whole course, but we’ve to consider that their competition wasn’t in the level of the other regions. Still, this a great feat for Grayhound and fans are looking forward to see what DickStacy can pull out in the Major. Grayhound, unfortunately, is one of the weakest teams when it comes to firepower that qualified for this Major. It’s not uncommon to see three players below the standard rating in performance even when they win, and this isn’t looking to get any better for them. After this, we have also to consider that they are newcomers to the Major. The pressure will probably take tool of their performance and more experienced team will exploit them. Overall, Grayhound isn’t a team that it’s looking to be go deep in the tournament. Still, just like FURIA, this might be a learning experience over anything else for them, and it will surely be valuable. Less than one month remaining for Major to start! The Road to Katowice is coming to a close now. After the Minor play-in, where four other teams that reached third place in the regional Minors will be fighting for two spots in the Major. After it, every team will be having their eyes in the $1.000.000 prize pool and taking the trophy of what could be the most prestigious tournament of the year. Who are your favorites to win it? Will the winner come from one of the Minors? Let us know your opinion!